Many people – non-religious and religious – want to make advance plans for their own funeral or memorial ceremony. And why not? If you’ve left clear instructions you can be confident that you will get the funeral you would choose, and this also takes a great deal of pressure off friends and family at a stressful time. There’s no set way of arranging your funeral ceremony but it is important that you write down what you would like to happen, and very important that you give a copy of your plans to a close family member or friend who is likely to take charge of the event. Giving a copy of your plans to your solicitor is unlikely to be of help as your will is unlikely to be read until your funeral is over. You might like to think about the music you would like played and the poems or texts you would like to be read. You might consider writing a short personal history, mentioning the people and events that have been important to you. This can help make the funeral more meaningful for those who attend. If you want to have a non-religious funeral or memorial ceremony conducted by one of our funeral celebrants, you should specify this. An increasing number of people coming towards the end of their life want to work with a celebrant themselves to plan their own funeral. Many of our celebrants can assist with this and will talk you through what options are available. 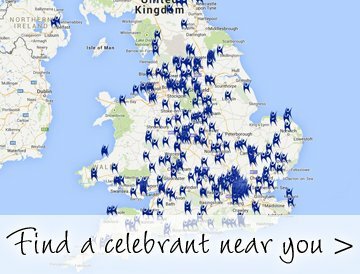 For more information, do contact a funeral celebrant that works in your area. Funerals Without God : our best-selling practical guide to humanist and non-religious funerals, including a selection of poetry and prose readings.